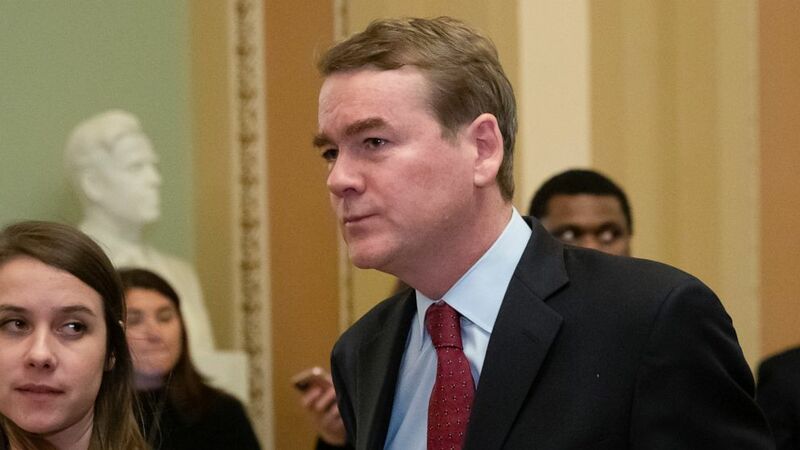 Democratic Sen. Michael Bennet of Colorado, who has been considering a 2020 Democratic presidential bid, said Wednesday that he has been diagnosed with prostate cancer. "While hearing news like this is never easy, I am fortunate it was detected early, and as a result, my prognosis is good," Bennet said in a statement released Wednesday night. The 54-year-old senator said he plans to have surgery to remove his prostate gland during the congressional spring recess, which begins next week. Bennet told the Colorado Independent Wednesday that he had intended to announce his presidential bid in April and decided to get a physical beforehand. He told the website he still intends to run for president if he's cancer-free after surgery. Unlike several candidates in the 2020 race, Bennet opposes single-payer government health care. But he said in the wake of his cancer diagnosis that "the idea that the richest country in the world hasn't figured out how to have universal health care is beyond embarrassing." In his statement, Bennet said, "This unanticipated hurdle only reinforces how strongly I feel about contributing to the larger conversation about the future of our country."